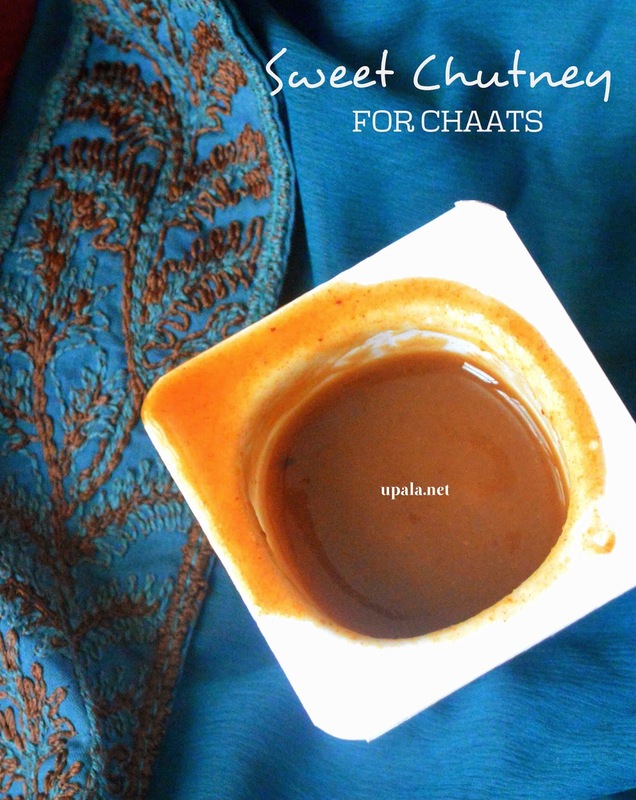 Sweet chutney/Dates Tamarind chutney is a yummy khatta meetta chutney used for Chaats. This sweet chutney can be stored in airtight container and refrigerated for weeks. 1) Pressure cook Tamarind, Dates, Jaggery, Cumin powder, Coriander powder, Chilli powder, Garam masala, Black salt with 1/2 cup of water for 2-3 whistles. 2) After it cools, grind them to smooth paste. 3) Strain the chutney and store it in an airtight container in refrigerator. 1) Another method: You can prepare the same chutney with out dates too. Soak the tamarind in warm water and extract the juice. 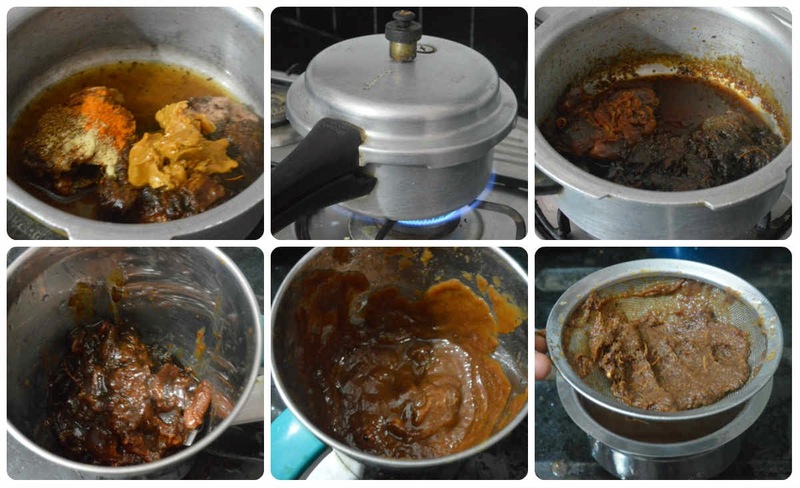 Add Jaggery, Cumin powder, Coriander powder, Chilli powder, Black Salt and boil this mixture till it becomes thick paste. 1) You can alter the consistency of this chutney according to your preference, can be thick paste or little watery.